Canada's major financial institutions began increasing their prime interest rates on Wednesday, shortly after the Bank of Canada increased its key interest rate for the first time in seven years. Effective Thursday, the prime rate at the five banks will rise to 2.95 per cent from 2.7 per cent. 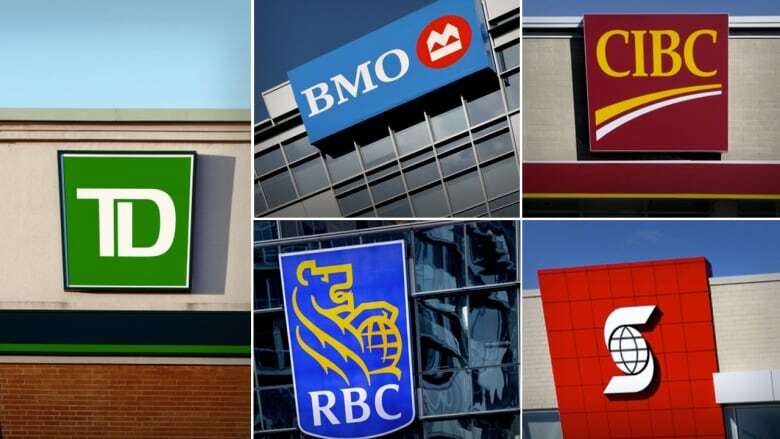 Canada's five biggest financial institutions increased their prime interest rates on Wednesday, shortly after the Bank of Canada increased its key interest rate for the first time in seven years. The Royal Bank of Canada was the first to announce an increase, followed by TD Canada Trust, Bank of Montreal, Scotiabank and CIBC. Effective Thursday, the prime rate at the five banks will rise to 2.95 per cent from 2.7 per cent, matching the 0.25 percentage point increase to the Bank of Canada's overnight rate. A bank's prime interest rate gets factored into a variety of loans, from variable-rate mortgages to lines of credit. Bank customers with loans based on the prime rate will see an immediate increase in their interest payments. Canada's major banks tend to keep their prime interest rates in lockstep with each other. RBC announced the increase to its prime rate about 12:30 p.m. ET on Wednesday, 2½ hours after the Bank of Canada made its announcement. The remaining four big banks made their prime rate announcements within 2½ hours of RBC's move.